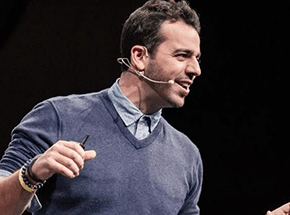 Steli Efti dropped out of high school, taught himself to be an entrepreneur, is a life-long learner, and the founder of Supercool School, VibaTV and SwipeGood. As an alumni of Y Combinator, Steli is the CEO and co-founder of ElasticSales and Close.io. As if this isn’t enough already, Steli also advises startups and is the author of “The Ultimate Startup Guide To Outbound Sales.” You can find him on twitter here , or on linkedin here.